*Combined partition size must be smaller than target drive capacity, so shrinking your existing partition sizes may be necessary. Aleratec’s 1:5 HDD Copy Dock Advanced gives you the power of a full-sized tower duplicator in a smaller, portable package. 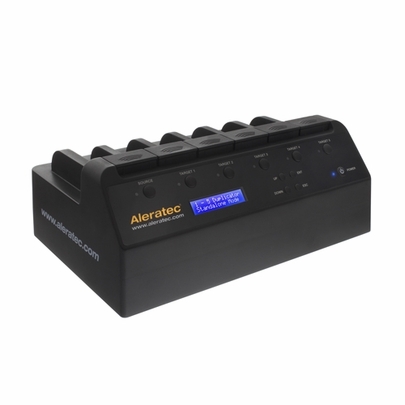 This stand-alone duplicator supports 2.5” and 3.5” SATA hard disk drives/solid state drives and can produce up to five hard disk drive clones simultaneously without the need of a computer. Serving as a hard disk drive duplicator, sanitizer and docking station, the 1:5 HDD Copy Dock Advanced can access up to five hard disk drives at a time using e-SATA or USB 3.0 technology. 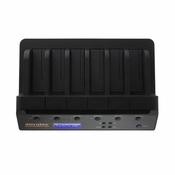 Users can also copy from larger hard drives to smaller hard drives (up to four partitions), for instance if you want to copy data from a larger hard disk drive to a smaller solid state drive. 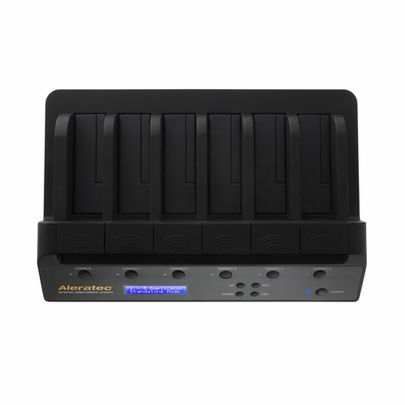 Duplicating multiple hard disk drives is fast and efficient with instant connect hard disk drive bays that allow quick connection and removal. Individual power buttons let users choose which drives to copy or access, while front-panel buttons and an easy-to-read LCD display control functions and monitor the progress of each job. 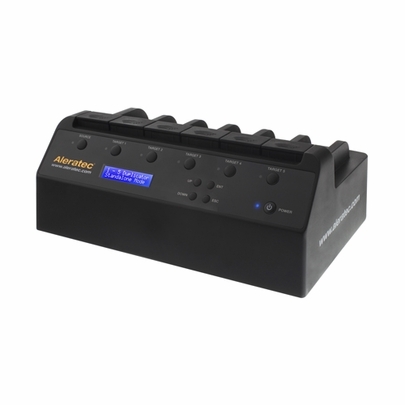 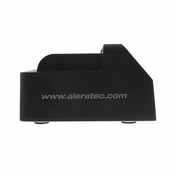 Aleratec’s 1:5 HDD Copy Dock Advanced creates sector-by-sector copies that include boot sector and partition information so clones and backups are a perfect match. 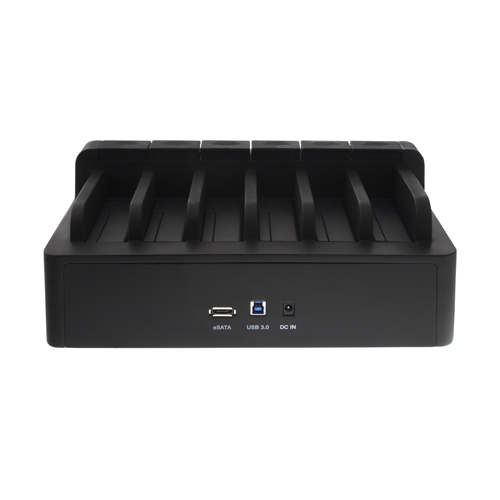 The 1:5 HDD Copy Dock Advanced also includes the latest sanitization functions for erasing data from up to five hard disk drives at a time. Depending on your security requirements, choose from 1-Pass, 3-Pass or 7-Pass Overwrite functions. 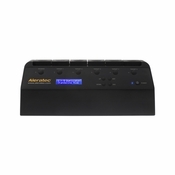 Hard drives sanitized by Aleratec’s 7-pass wipe have been verified by a leader in forensic data recovery as being forensically unrecoverable and as meeting NIST 800-88 standards for sanitization.